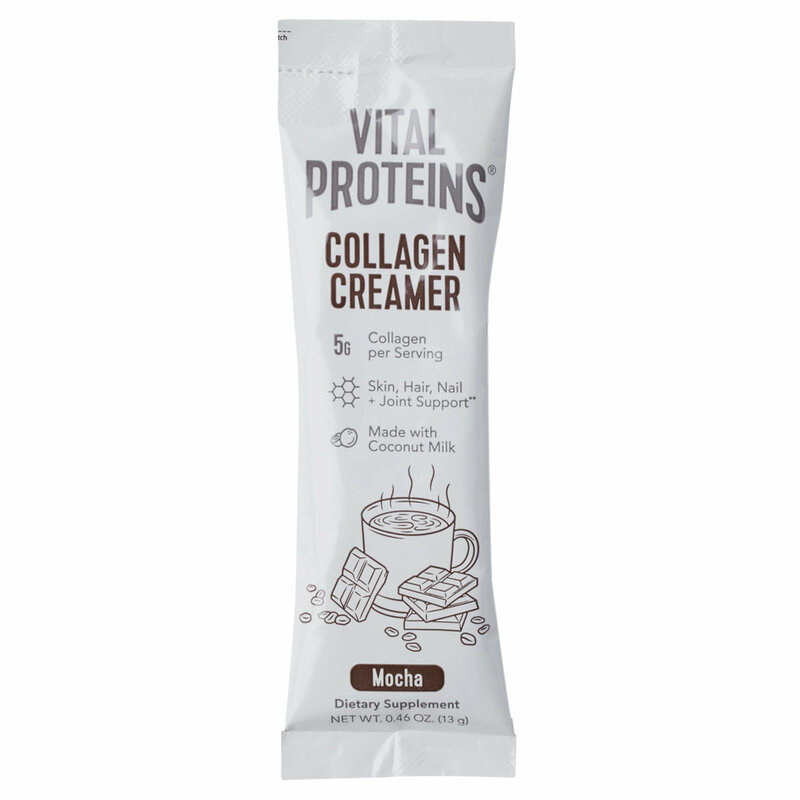 Vital Proteins' Mocha Collagen Creamer is a healthy, delicious addition to your morning cup of joe. It has healthy fats from organic coconut milk, plus 10 grams of collagen peptides sourced from grass-fed, pasture-raised bovine. Paleo friendly and Whole30 Approved, our Vanilla Creamer is free of dairy, soy, carrageenan, gluten, artificial sweeteners, and added sugars. Bioavailable: The creamer contains our signature Collagen Peptides, which are easily digested and absorbed by the body. Beneficial: Collagen’s amino acids provide the building blocks for hair, skin, nails, bones, joints, and other connective tissues. Collagen Creamers work as coffee creamers, but their applications don’t end there. Use your Coconut Collagen Creamer in a variety of ways: Mix into any hot or cold liquid, such as coffee or tea. Bake into desserts and pastries. Sprinkled over oatmeal. Blend into a smoothie or frappucino. 10 g Collagen Peptides - great for hair, skin & nails. 9 g of MCT-Rich Coconut Milk - boosts energy.